Heard us on the radio? 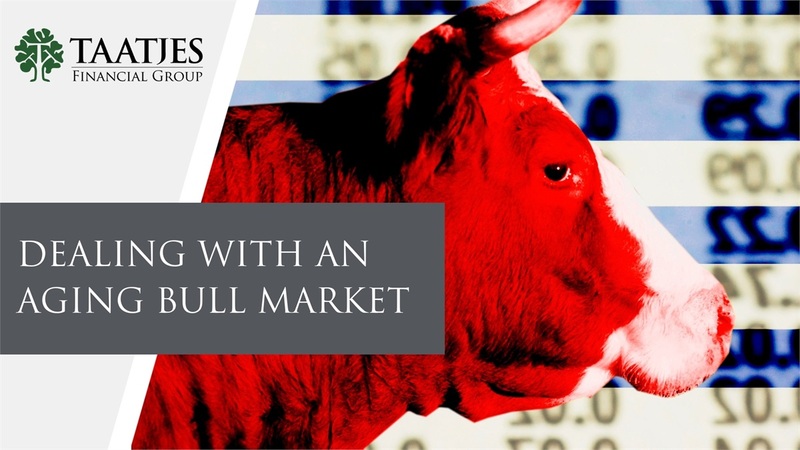 The U.S. stock market is arguably experiencing the longest bull market in history. And while this is great, you need to understand how this can affect your retirement plan. Consider this example - what happens when a 5 year old falls while ice skating - how long will it take for that child to get back on their feet again? 10 to 15 seconds, max? What happens if a 70 year old falls while ice skating - how long will it take for that person to get back on their feet? Chances are much longer than the child. An aging bull market works similarly. It becomes a little more fragile with age. We say it all the time, don't let your emotions get in way of your retirement plan. It's important to have a long-term plan and perspective. Never let the emotions you may have during market volatility derail the plan you've made in more-stable market periods. You should always understand the risk you're taking on any investment. Right now is a fantastic time to analyze the risk in your portfolio. If you need help understanding the risk in this aging bull market, please, don't hesitate to reach out to us.